Interview with Matt Jervis of MacGyverClass! 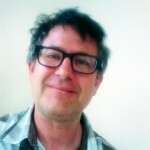 Matt Jervis runs MacGyverClass!, a Berkeley, CA after school program that teaches creative problem solving to kids in K-5th grades. Their mission is to get kids to think creatively and see challenges as an opportunity, not a threat. Special thanks to Matt for being my first interviewee! Interviews with more exciting thinkers on creativity are in the hopper, and I hope you’ll come back for more. I love the name, MacGyverClass! Can you tell me about your program? Yes! First of all… Thank you so much for seeing value in what we are attempting to do!! Let me begin by addressing the name… MacGyverClass! Now all of us parents know who MacGyver was… which made explaining the crux of the class a bit easier, but the connection to the TV show ends there. The funny thing is, we have brought the word MacGyver to whole new generation! Without them knowing anything about the 80’s TV show, they walk out of my class knowing “MacGyver” as a verb! The MC! program is essentially built to encourage kids to indulge their natural creative abilities through a specialized hands-on activity. And we do that by offering our students an open forum to explore their own ideas through fun random challenges and random materials! The random aspect is very important to the class… We like to say that, “You don’t get to pick your challenges…your challenges pick you!” and from there we begin! What led you to start MacGyverClass!? I’m an artist and a veteran punk rock musician… in other words I’m a creative guy with a penchant for performing…that coupled with a family of artists and teachers… MacGyverClass! evolved very naturally… The first MC! class came to be when my son, Jasper was in Kindergarten and I wanted to get more involved with his class… as a new parent and an artist I decided to offer his teacher an “art” class for one afternoon… I based it on the crazy creative projects my Dad used to task my brother and I with growing up… making forts and other crazy stuff with just what we had around. As a painter, my Dad was fond of quoting Picasso, and often said “When Picasso ran out of red paint he would use what he had…blue.” I took much of that to sentiment to heart …and it was from there the idea for MacGyverClass! popped. 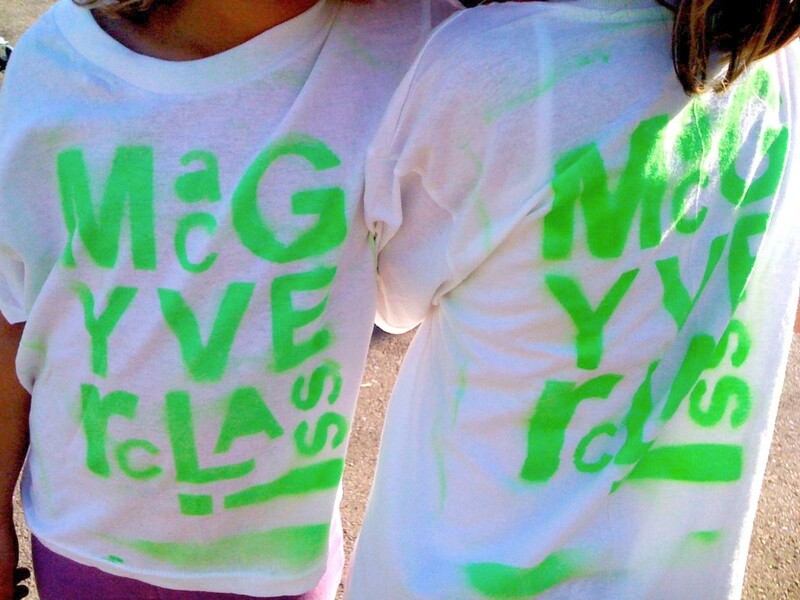 I love MacGyverClass! because it’s simple and it can be done at home and it’s lessons are portable. What age group do you work with? As for the classes…I like the k-5th grade group… and I require them all to be in one class. This really helps to break down age barriers and form a real community in the class and beyond. As for my afterschool groups, I’ve seen this approach help to create bonds in the halls and on the playground! It’s magical to see a 1st grader and a 4th grader working together…then a kindergartner comes over with a cool idea…boom! That’s when MacGyverClass! really shines!! Separating the kids by grade just doesn’t work well for this program! A typical class begins when school ends. We gather together and we pick our challenge out of a hat. 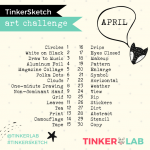 The kids love being able to pick the challenge… Once the challenge has been picked, with a drum roll of course, I introduce the day’s materials. Every class is different and the materials are chosen with no regard to what the challenge could be. For those of us interested in replicating a MC!-style class at home or school, could you share a couple of the questions that might get pulled from the hat? Hmm. This is where MacGyverClass! really gets fun. With today’s materials make shoes for time travel! This sounds like a lot of fun! What kind of materials do you use? I approach each class like a head chef of a restaurant. Like a chef that goes daily to the Farmers Market and picks the latest offerings…I go to various places on my route and find wacky new materials and bring them fresh to each class. They may range from rolls of aluminum foil… to wine caps or sponges. My favorite materials are the simplest…like egg cartons and VHS tape! 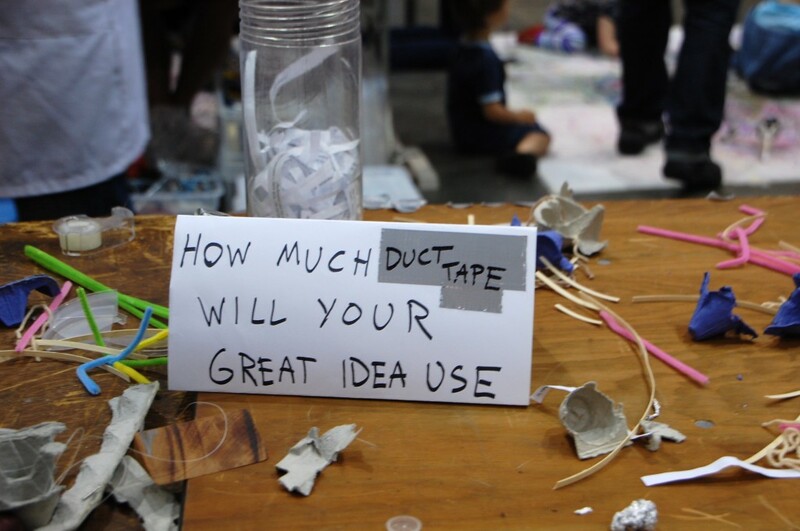 The most popular material by far is the duct tape…but we use it in every class and because of that, the kids have developed a pretty savvy appreciation for the “good” stuff. Can you tell me more about those intriguing Random Challenges boxes? The boxes are great for anyone! 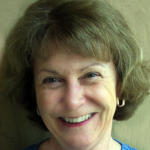 k- adult… They tap into something we all do and gives enough structure without being too structured. Get a dozen and have them at a party… keep a couple in the trunk for long car rides…take them on the plane! Work as a team or just let your mind wander! It’s like a spa for your creative side. Thank you for taking the time to talk with me today, Matt! Giveaway is CLOSED. 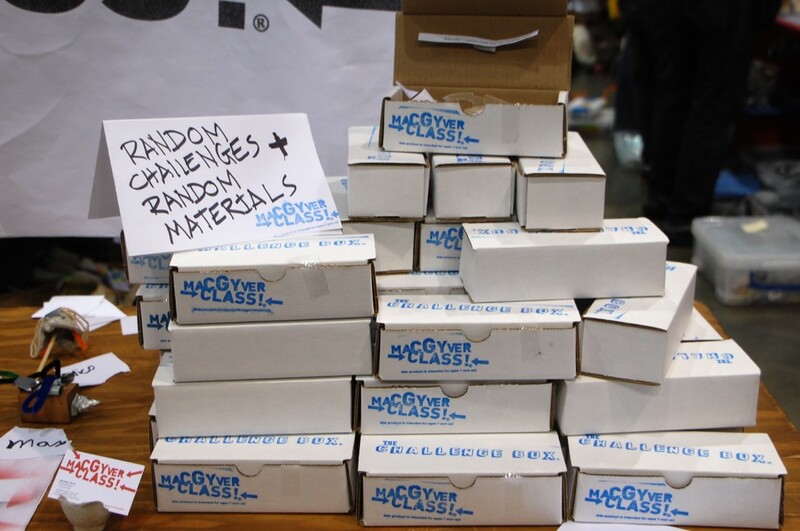 Matt is giving away two sets of his Random Challenges boxes to two lucky readers. To enter, leave a comment by Monday, June 6 at 8 pm PST, and mention your favorite upcycled found material. Winners will be notified by email or Facebook. 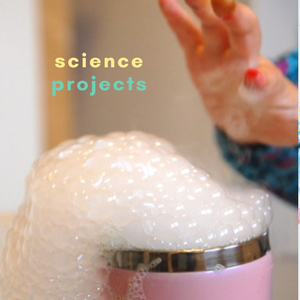 Like TinkerLab on Facebook and leave a comment on the TinkerLab Facebook wall. Share this giveaway in your Facebook status and leave the link to your profile. Blog about this post with a direct link pointing to this giveaway. Leave me a link so I can check it out! 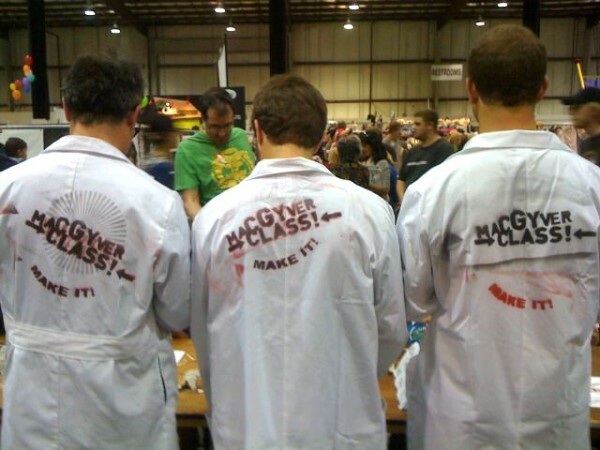 If you’d like to connect with MacGyverClass!, you can find them on Facebook: facebook.com/macgyverclass. Kid Corner: What Makes a Good Teacher? fabulous. what an inspiration on so many levels. I love the creative boxes. infact it’s inspired me to store the kids toys/junk/materials in random boxes and see what they do with them. each day they recieve a box. 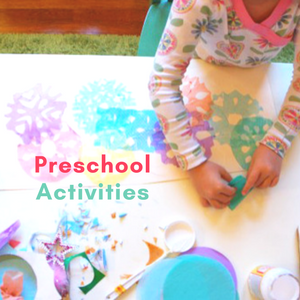 this may give them more room to focus, have fun and not get bogged down with the clutter of endless supplies. great post. thanks rachelle. one question. are you posting these blogs at 4 am? or do they just come to my box at this time? I am often awake in the middle of the night. you too?! I may be using this idea if I don’t win! My older kids will love it. Hmm, favorite found material? That’s tough, because we use different things for different purposes. Corks, 6-pack rings, bubble wrap–such great textures. Amy, I was thinking about you when I posted this! More ideas for older children!! I’ve been recycling our corks, and maybe it’s high-time to save a little stash for art making. How do we get other ideas for more of these kinds of challenges? I’ve been stocking up on my repurposed items, but haven’t figured out what to make yet. It would be nice to get an ongoing list of ideas! Great interview! What a great idea! I’d love to be involved in something like this. My favorite item at the moment – bottle lids. Lids from water bottles, soda bottles, etc. We’ve been using them off and on for a while and I keep thinking of new ways to use them. Thanks for the feedback, Scott! I have a huge stash of bottle lids, too, and feel challenged to find a good way to use them. I recently saw a musical stick idea that we may try, and I’d love to hear other ideas. My son is really into making houses for our cats, so plain old cardboard is our favorite. So cute, Natasha! How do the cats feel about this? Do they like their hideaways? Always a favorite around here, too, Steph! This is so neat! I`d like to do stuff like this with my son and his friends when he`s older! I’m saving this idea, too, Toniette! It would be a fun party/play group/afterschool activity for sure! This sounds like a Great Class for kids! I like the idea of having them at a party! One wild party—-but one I would enjoy! Our favorite upcycled materials are tubes! C recently created a steering mechanism with a tube and a yogurt cup and she sat in the box of recycled materials and pretended it was a car! 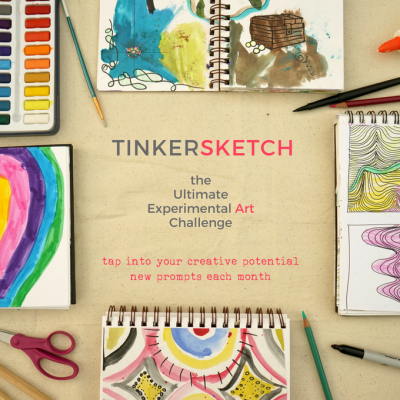 This is a great interview and it goes well with your TInkelab Challenges! I love things that get kids thinking, hands on trail and error. This is great! Awesome idea! My daughter is already a budding MacGyver, as she’s constantly creating from materials in our recycling box! Our fav material around here–probably cardboard boxes. Either big (fort, store) or small (robot, car), they’re always inspiring some other, creative use. Oh. My. Gosh. I grew up addicted to watching MacGyver, so the title totally drew me in. 🙂 I love this idea! My 9 year old son would love it too. Favorite upcycled item? Hmmm…egg cartons are great for so many things! Right now I’m looking at a couple of mini gardens planted in some. Katy, I had a feeling this class would capture the attention of some MacGyver fans 🙂 I love egg carton gardens. We were just given a few bags of seeds, and now I know just what to do with them! Thank you. Wonderful interview! Lovely, innovative challenges with K-5 grades!! Fabulous! 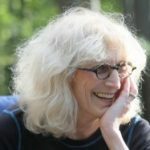 Thank you, Jeanne! I couldn’t agree more. Yelena…This definitely seems like an idea you and your son would adore! Thank you for sharing the link to the Star Wars creations — your son is such a creative boy and lucky to have you guiding the way! 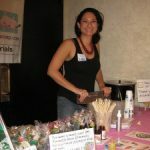 It’s nice to find someone who drags around as much stuff to workshops as I do! In fact… MORE! 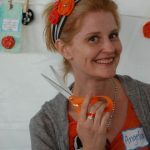 These workshops look like amazing fun, and stress what I’ve been trying to say in more ways than one… Creativity makes better thinkers, and better thinkers are more creative! Nice job on the interview.. very interesting. Ha ha! 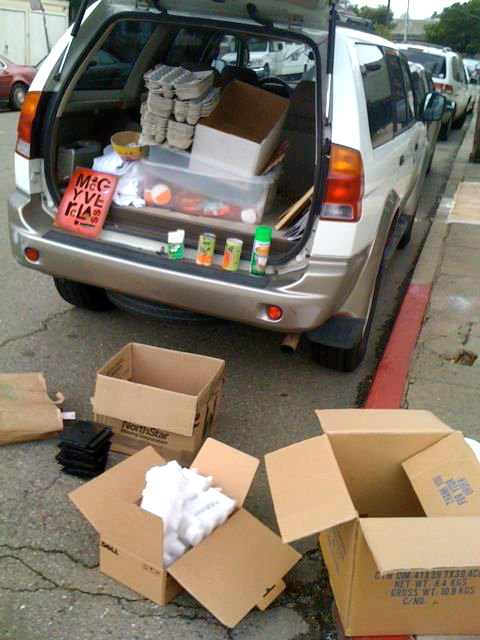 I bet you do have a full carload for your workshops! The creativity + thinking connection is one that I’m invested in too. I’m so glad you’re here to help me advocate, MaryAnn! Love this idea! We like all kinds of tape lately: Painters, packing, and of course duct! We’re also really into paper towel/toilet paper rolls. Isn’t it funny how materials can stick around for a while. My daughter had a huge passion for tape a few months ago – HUGE! And rolls are constantly in use for us too. I love this! My favorite upcycle item is phone wire – you slice open the chewy casing and inside are colorful, thin wires that are easily bendable and fun to sculpt with. Michelle! I had completely forgotten about phone wire, but it was one of my favorite materials to teach with when I first started on my arts education journey. Thanks for the reminder. This is so much fun. I have a hard time getting rid of any type of packaging because I feel like we can use it for so many things. But honestly, have you ever toured any manufacturing sites? I have toured many and worked in a couple and they have the most awesome materials for building that they are normally getting rid of. Cardboard, dense foam, etc. One of the best things I got was from a pre-press (offset Printer) location where they were doing kodak proofing and they get rid of these mirror like sheets because they are used as a temporary carrier. One side is shiny like a mirror, and the other is dull and they are great for so many things! I collected hundreds while I was there. They were about the size of a legal piece of paper. i agree, april! do your kids love the popsicles AND the sticks? thanks for the comment. Thanks, Jen! I’ve read about Odyssey of the Mind, and I’ve never met anyone who went through it. We’ll have to chat about it next time I see you. 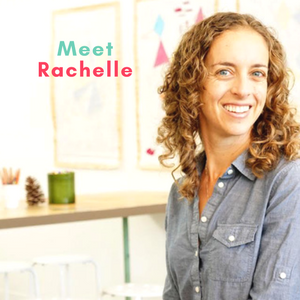 What a fabulous interview and a really, really good idea for kids workshops! I wish it wasn’t in a different country 😉 In a way these remind me of a more grown-up version of my Discovery Boxes that I’m doing with my 2 year old! 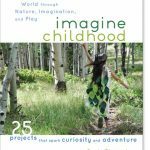 Offering open-ended resources for creative play. Thanks, Anna! If there’s an interest, I’m sure Matt would be interested in helping someone in the UK start a MacGyverClass! charter 🙂 And yes, they do remind me of your discovery boxes, too! Cardboard boxes of all shapes and sizes are our favorite upcycled material. The possibilities are endless! wow, that guy has a lot of creativity! my favorite up cycled material would have to be bottle caps! my neighbors and i have made snakes, wind chimes, you name it! he’s so creative…i agree, emily! I have had the worst time deciding on a favoriate upcycled material. I finally decided on toilet paper rolls and bubble wrap. I also used to love making jewelry out of phone wire when I was about 10 years old. MacGyver classes for adults would be awesome! Send a link off to people in Illinois who could make this happen (community rec center, art museum, art center, etc.). you never know!! and thanks for thinking about the materials — they’re all wonderful, and i’d have trouble picking two also! Thanks for all these incredible comments! 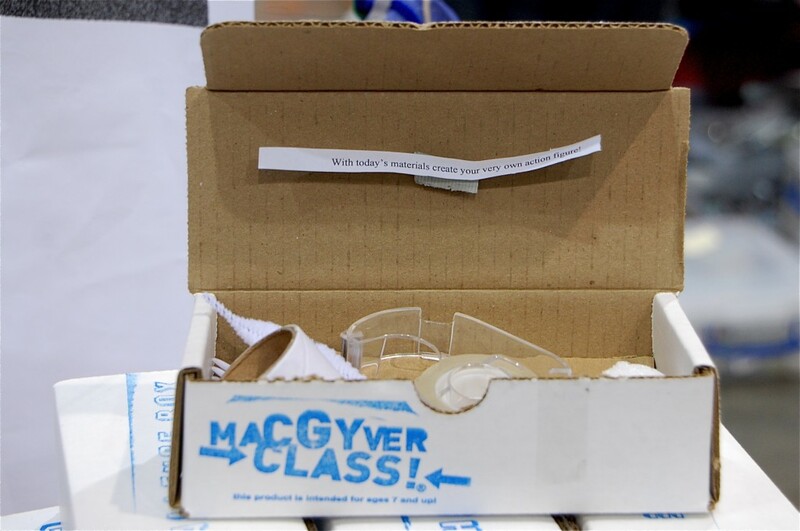 Please feel free to contact me with questions about how you can get a little MacGyverClass! in your school or work place! 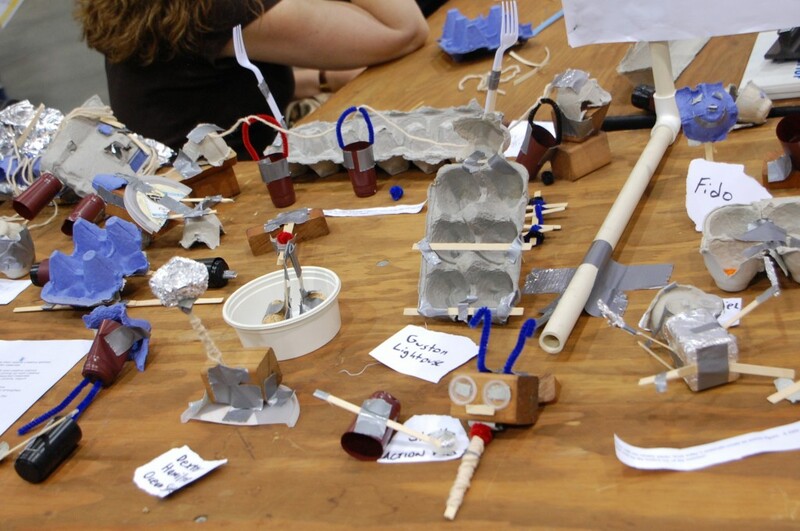 Keep your kids tinkering!! And thanks for taking time for the interview, Matt! Love this! Hands down, our favorite item to reuse/upcycle is paper towel tube. Amazing what it can become, with a little creativity! That’s another vote for paper towel tubes! So many things one can do with these, Claudia!! more. Thank you for magnificent information I was on the lookout for this info for my mission. It’s a pity you don’t have a donaye button! I’d most certainly donate to this superb blog! myy Facebook group. Talk soon!